Ever heard of Sally Potter? Ever wanted to watch a mobile phone film? Ever wanted to see Jude Law turned into a woman? Chances are the answer to all three is no, unless you are a film nerd or a regular reader of Sight and Sound. It was through Sight and Sound that I have discovered her latest film, Rage. Kanata’s Day Off – Hair Braiding – a title clearly designed to lull viewers into a false sense of security. 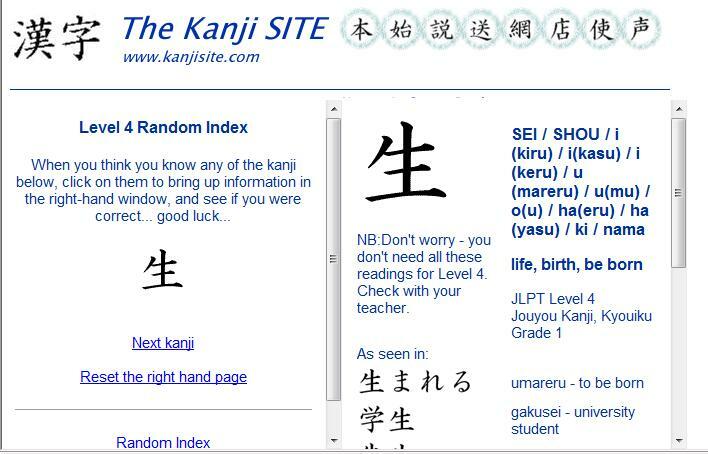 This site allows the user to view and practice identifying Kanji. The user may choose from a selection of symbols that appear on the left-hand side of the screen (and then in the centre). They may also click the symbol to bring up the Rōmaji interpretation. Have you ever played a game like ‘What if…?’ You start with a scenario and then each person spins a different take on the original scenario until you cover all eventualities? 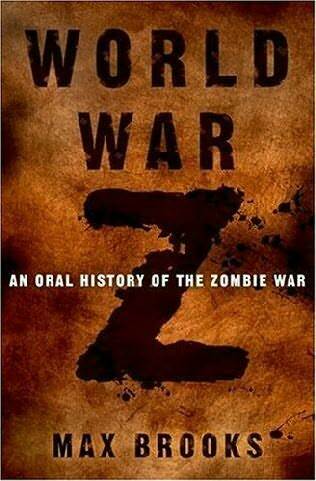 This is what the book, World War Z: An Oral History of the Zombie Apocalypse does. Would you be safe behind a locked door? Nope. If a zombie knows you’re there, he’ll get his friends to force it open. Would you be safe behind a locked door made of reinforced steel? Nope. They’ll find a window. Would you be safe behind a locked door made of reinforced steel that was the only entrance to a bunker? Only as long as your supplies last. Things look grim for humanity in this fine addition to the horror genre. It is to the credit of Max Brooks (son of Mel Brooks) that this is a convincing look at just what would happen to contemporary societies around the world if a zombie apocalypse ever did occur. With this downloadable application, the user controls a penguin pushing a block of Kanji/Kana towards Kana readings and then onwards to the English reading. There is only one right answer. Simple really. This is the third Ghibli film that I have seen in a cinema. My first two were Spirited Away and Howl’s Moving Castle, two stories that are dark, detailed and emotionally moving. Ponyo may be moving but it’s carefree. Its simplicity is its strength and Ponyo is brilliant and challenging in its own right. This is the second time I have seen Ponyo but something irked me from the first showing and I’d like to get through my disquiet and what this film must be addressing. There’s one thing this film does spectacularly well – show how hard it is to make a decent animated film. I salute you, Pixar Animation Studios. In this post Up/Incredibles/Toy Story world if you want to make a memorable animated film you have to come up with something that is as close to the quality writing and animation alchemy that Pixar have achieved. My Neighbour Totoro was on Film Four recently and I looked at the voice-credits:– Dakota Fanning, yes… Wait a second, Frank Welker? As Totoro? That was a name I remembered from somewhere. Scooby Doo – Fred Walker, right? He is a recurring character in Scooby Doo, but he was also in Ducktales, Gummy Bears, Swat Kats, Inspector Gadget and The Real Ghost Busters (as Ray Stanz and Slimer) all sorts of things I watched as a child. Sora no Woto: A Mystery Wrapped in an Enigma? This comment came at the end of episode five of Sora no Woto. The visuals that the dialogue followed were startling. 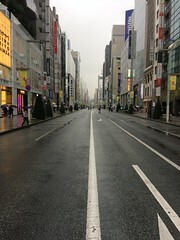 However, it was a long time to wait for some interesting concrete background on the world. I personally like the gritty or comedy end of anime. What I’ve never been able to watch is moe. I’m not a fan. I was recently told off for assuming that Moe was a creepy superifical genre as opposed to a creepy superficial fetish aesthetic movement. 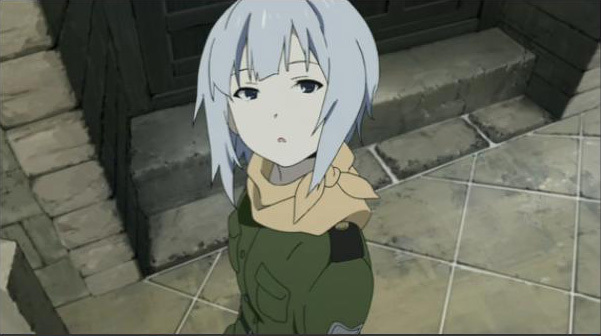 So one episode of Sora no Woto was enough to put me off. I think I’ve underestimated Sora no Woto. What initially seemed to me to be a superficial show combining War and Moe in some absurdist fashion actually seems to have some back-bone. This web site is a huge repository of Kanji and their meanings. Essentially the user can browse through pages, just like flipping through an expensive paper dictionary, learn about related words and their meanings, rather than searching for a single Kanji and viewing it out of context. Quick description in two words: Comfortable – Useful.